The immensely costly "war on drugs" in Latin America is slowly collapsing like a Zeppelin with a puncture. The long-forecast failure for strategies which involve police and military in forcibly suppressing narcotics - first decreed by President Richard Nixon decades ago - is now pitifully evident in Bolivia, one of the poorest countries of the Western hemisphere. The estimated $25bn that Washington has spent trying to control narcotics over the past 15 years in Latin America seems to have been wasted. In 2005, according to UN guesses - and, amid merciless political spinning of what few facts there are- Colombia, Peru and Bolivia, the main producers of cocaine, had the capacity to produce 910 metric tons a year. As more productive strains of coca bushes appear, production has been increasing. Unsurprisingly, the price of cocaine on US streets has tumbled, according to the White House drug tzar John Walters, to $135 (£70) a gram, a fraction of the $600 a gram it was fetching in 1981. 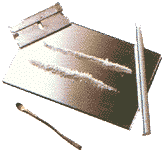 The purity of cocaine has gone from 60 per cent in mid-2003 to more than 70 per cent last October. Like the conflict in Iraq, the US's other great war is now being visibly lost. Here, indigent Bolivian President Evo Morales, once a poverty-stricken llama herder and itinerant trumpet player, is resisting pressure from the Bush government to eradicate coca bushes by fire and sword. The Bolivian leader is no lover of cocaine and his policies are summed up in the slogan "no to drugs, no to cocaine". More than 5,000 hectares of coca bushes were destroyed last year by growers voluntarily. "We did it without violating human rights", says Morales. But he refuses to ban the consumption of coca leaves, which country people regard as gifts from heaven: the indigenous peoples have been chewing them for thousands of years as an aid to survival at 14,000 feet in the perishingly bleak highlands of the Andes which surround this city. Their teeth are sometimes discoloured but otherwise they have come to little harm. Morales has no hesitation in saying that his refusal to allow foreigners to dictate Bolivia's policy on what Bolivians call Mama Coca has been one of the secrets of his political success. "The sacred coca leaf meant that we poor people are in government today," he proclaims. Morales' stand was backed up here earlier this month when Jean Ziegler, the influential former Swiss parliamentarian, now the UN Special Rapporteur on the Right to Food, announced that promoting the cultivation and consumption of coca "doesn't go against international treaties to fight drug trafficking and organised crime." He sees it as devoted as much to Washington's political and military strategies in Latin America as to the battle against narcotics. The plain-speaking Chavez, who has called President Bush "a devil", has accused the DEA of spying. Pedro Carreno, Chavez's justice minister, has said that Venezuela would not allow the DEA to mount anti-drug operations on its territory. Chavez has also forbidden overflights by US government aircraft. Carreno suggested that instead of Plan Colombia, the US "should apply a Plan Washington, New York, or Miami, so that they fly over their own air space, and take care of their coast and border because 85 per cent of the drugs that are produced in Latin America go to the United States." Now a third Latin American leader, the newly elected President Rafael Correa of Ecuador, has announced that his country will ignore US instructions in the "war on drugs". He has announced that he will no longer allow US forces to occupy a large base at the Pacific port of Manta, which was leased to them by a previous government and which the Pentagon says is used for aircraft monitoring cocaine shipments between Peru and Colombia. Many small farmers in Ecuador along the border with Colombia have seen their crops and livestock ruined and their own health affected by the spraying of poisons, such as glyphosate, by Colombian and US pilots in a so far vain attempt to destroy coca bushes in Colombia. The pesticides have drifted over the international border spraying Ecuadorean farms. Last week, Professor Paul Hunt of Essex University, the UN Special Rapporteur on Health, speaking in Ecuador said: "There is credible, reliable evidence that the aerial spraying of glyphosate along the Colombia-Ecuador border damages the health of people living in Ecuador. There is also reliable evidence that the aerial spraying damages their mental health. Military helicopters sometimes accompany the aerial spraying and the entire experience can be terrifying, especially for children." If this continues the Ecuadoreans have threatened to shoot the offending aircraft down. But it is in the Colombian capital city, Bogota, that the "war on drugs" is seriously falling apart. Colombia's president, Alvaro Uribe, is in deep political trouble as his opponents dig up unsavoury evidence of his past. He was for years seen as the strongest ally of the US and Britain in South America - he has been received several times at the White House and the UK's Foreign and Commonwealth Office paid him a substantial bursary in 1998 for two years' study at St Antony's College, Oxford before he was elected president in 2002. As a model recruit into the "war on drugs" his country has received $5.4bn under the so-called Plan Colombia from Washington for drug control, more US foreign aid than any other country except Israel and Egypt. Yet Colombia is estimated to be producing nearly 800 tons of cocaine every year and it has been an open secret for years that senior politicians and the armed forces are deeply mixed up in drug dealing and the right-wing death squads - coyly referred to as "paramilitaries" are also involved in the trade. In February, Uribe had to sack his foreign minister Maria Consuelo Araujo because of her family connections with the death squads and the drug trade. Uribe is becoming something of a pariah and his support is falling away, even in Washington. Senator Al Gore withdrew from a conference on climate change in Latin America to avoid being photographed with him because of allegations linking Uribe and government members to death squads and drug dealing. Gore called the claims deeply troubling. In 2001, some senior politicians signed the so-called Pact of Ralito, which bound them to well-known drug smugglers with names such as Jorge 40, Don Berna, Salvatore Mancuso and Diego Vecino. Other accusations against Uribe include one by an opposition senator that death squads used farms belonging to Uribe's family to carry out meetings and killings in the 1990s. Earlier this month, the Vice President, Francisco Santos announced that "more than 40 members of congress" could go to prison because of their links to drugs and death squads. More than a dozen senators, congressmen and political insiders have been arrested. This month, two police generals were sacked. The truth is also emerging about the Colombian army, beloved of the US government but widely hated by many Colombians for its closeness to the death squads. Senator Patrick Leahy ordered a temporary freeze on tens of millions of dollars of US military aid after the Colombian army commander, General Mario Montoya, was found to be deeply involved with the death squads. Leahy condemned the waste of US money in Colombia: "When Plan Colombia began, we were told it would cut by half the amount of cocaine in five years. Six years and $5bn later, it has not had any measurable effect on the amount of cocaine entering our country." Big business is also caught up in drug dealing. In March, Chiquita Brands International, a US banana multinational, was fined $25m by the US Justice Department for having funded the AUC, the principal Colombian death squad which is closely linked to international drug-smuggling.